Real Estate law is the principal focus of our firm. Our firm is the premier real estate law firm in the New York State Greater Capital Region. Sciocchetti & Abbott, PLLC is a full service real estate and commercial transaction law firm located in Albany, New York. Sciocchetti & Abbott, PLLC has been providing real estate services to clients in the New York Greater Capital Region and Tech Valley area for over 30 years. Our firm’s practice is focused on real estate and commercial transactional law. The commitment and concentration of our efforts in one area of the law is fundamental to the success and results that we provide to our clients. We are the law firm that the real estate professionals recommend. Our attorneys are recognized as Super Lawyers in the Upstate New York area. Paul V. Sciocchetti is the founding partner of the firm. He focuses his practice in the area of Commercial Real Estate and Real Estate Development. He has established a reputation throughout the Greater Capital Region as a diligent advocate, working tirelessly for his clients, and his counsel is respected by professionals throughout the region. Mr. Sciocchetti has been recognized as a Super Lawyer in the area of Real Estate Law, holds a 10 Star Avvo rating, and is a Distinguished Lawyer. He is a member of the New York State Bar Association – Real Property Section, and Schenectady County Bar Association (Real Estate Committee – member). Mr. Sciocchetti has lectured widely on issues concerning Real Estate Law such as: Real Estate Contracts – Panel Review (Moderator); Title Law; Commercial Real Estate A to Z; Due Diligence in Commercial Transactions; The CIREB Standard Form Contract – Pros & Cons; Bridging the Communication Gap between Real Estate Attorneys and Realtors. He is a founding member of Trails2Prevention, a non-profit company whose mission is to educate local youth on the dangers of substance abuse. Mr. Sciocchetti is a graduate of Pace University School of Law and Siena College. He is admitted to practice in New York State, the United States Supreme Court, US Bankruptcy Court and the New York State Court of Appeals. Lighter Note: Paul is a true “food and wine guy” and is regarded as a top-notch chef. Marnie M. Abbott, Esq. has practiced exclusively in the area of real property law since graduating from Vermont Law School in 2002. Ms. Abbott concentrates her practice on commercial real estate with a focus in lake front properties, Adirondack Park Properties, and Homeowners Association formation. She recognizes the special and unique needs of every client without losing sight of her ultimate goal, which is to expeditiously and effectively close each transaction. Ms. Abbott handles acquisitions and sales of lake front property and lands in the Adirondack Park. Ms. Abbott represents purchasers, sellers, builders, developers, title companies and financial institutions in all aspects of residential transactions. Ms. Abbott is a member of the New York State Bar Association, Real Property Section, and the Albany County Bar Association. She has earned recognition by Super Lawyers Magazine, appearing on their list of Rising Stars for three consecutive years. Ms. Abbott volunteers for the Habitat for Humanity of Northern Saratoga, Warren and Washington Counties, assisting Habitat with closings and land acquisitions. She holds a Bachelor of Arts from Union College and a Juris Doctor from Vermont Law School. Ms. Abbott is admitted to practice in New York State. Lisa T. Newkirk, concentrates her practice in Commercial Real Estate and Land Use Law. She has represented several municipalities in land use and zoning matters, and has extensive experience in drafting and implementing local law. This experience has proven to be a valuable asset to clients when dealing with local government. Ms. Newkirk has earned the trust and confidence of her clients with her thorough and diligent approach, consistently delivering strong results. Ms. Newkirk is recognized as a Rising Star by Super Lawyers Magazine in the area of Real Estate Law. She is a member of the Albany County Bar Association, the New York State Bar Association, Capital Region Chamber of Commerce Women’s Business Council and Capital Region Women@Work. Ms. Newkirk is a graduate of Western New England University School of Law where she was a merit scholarship recipient and a member of the Appellate Moot Court Board. While in law school, Ms. Newkirk competed in the Phillip C. Jessup International Law Moot Court Competition and was awarded Best Brief in Appellate Advocacy. Ms. Newkirk held a clerkship in Massachusetts Trial Court where she assisted the bench in drafting decisions and orders. She is an active volunteer at the Homeless and Travelers Aid Society, where she provides pro bono representation to local residents as a member of the Legal Project. Ms. Newkirk is admitted to practice in the State of New York. Mr. Schwartz is a senior attorney. He is a real estate title law expert bringing over three decades of experience in the practice of real estate and title law, title insurance underwriting, and mediation of title insurance claims. He is renowned for his in-depth knowledge and understanding of complex title issues and his counsel and advice is often called upon by his colleagues in practice. Mr. Schwartz also has an extensive practice in the area of private lending. Mr. Schwartz is the author of the chapter “Residential Real Estate Practice” in the Pitfalls of Practice (NYSBA) and “Real Estate Transactions – Residential Property” in the New York Lawyer’s Practical Skills Series (NYSBA). Mr. Schwartz is a member of the New York State, and Albany County Bar Associations. He has lectured on topics such as residential real estate and contracts, title examination and title insurance issues, and alternatives to litigation on boundary line disputes for the New York State Bar Association (NYSBA), New York State Land Title Association, Albany County Bar Association, Schenectady County Bar Association, New York State Legislature and Executive Staff, Lorman Educational Services, and National Business Institute. 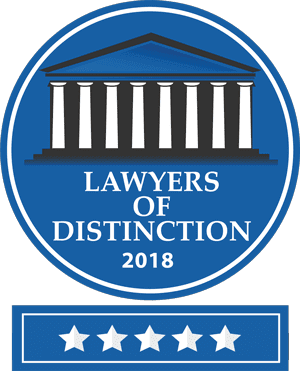 Mr. Schwartz was named as one of the Top Attorneys of North America by the Who’s Who Directories and is designated as a Lawyer of Distinction. He is a graduate of the Capital University School of Law and Hobart College. Mr. Schwartz is admitted to practice in the United States Supreme Court, United States District Court for the Northern District of New York, United States Bankruptcy Court for Northern District of New York, and the New York State Supreme Court, Appellate Division Third Department. Lighter Note: Ken enjoys traveling the world and is an accomplished photographer; notably covering three space shuttle launches as a freelance photographer. He is a recipient of the Association’s Professionalism Award and of the Bar Association’s President’s Pro Bono Service Attorney Award. He is a Life Fellow of the New York State Bar Foundation — MaryAnn Saccomando Freedman Circle. He is a Member of the American Bar Association and a Sustaining Life Fellow of the American Bar Foundation. He is a Member of the Capital District Women’s Bar Association. Mr. Coffey has authored numerous articles on various legal topics concentrating in the areas of Real Property and Ethics and is also a frequent lecturer on these topics. He is the Editor of “Attorney Escrow Accounts – Rules, Regulations and Related Topics” – N. Y. S. Bar Association 2001, 4 th Ed. 2014. He is past President of the Legal Aid Society of Northeastern New York and a recipient of its 2007 Law Day Award. Mr. Coffey was the attorney for the successful litigant in the Court of Appeals Decision in the Matter of Hennel, 29 NY3d 487 (2017), which according to the Decision established for the first time in New York the standard for the required proof of unconscionability as it applies to the statute of frauds. Attorney Advertising. This page contains Attorney Advertising.” - The content of this website has been prepared by Sciocchetti & Abbott, PLLC (“The Firm”) for informational purposes only. This information is not intended to be, nor should it be considered, legal advice, counsel or opinion. You should not act, or refrain from acting, based upon any information contained herein. Please note that you should not forward any confidential information through this website, or any other means, until an attorney-client relationship has been established and confirmed. Sciocchetti & Abbott, PLLC cannot serve as your attorney unless you and The Firm expressly agree, in writing, to that arrangement. Use of this website or communication with The Firm through internet email or through this website is not secure, nor is it confidential, and it does not constitute or create an attorney-client relationship. The Firm does not warrant that all information contained on this website is accurate, complete, or up-to-date, and hereby disclaims any and all liability to any person for loss or damage caused by errors or omissions. Sciocchetti & Abbott, PLLC is not responsible for and makes no representations or warranties about the contents of other websites to which links may be contained within this website.